Janne Poulsen Jewellery was born out of a passion for design and creativity. Janne’s pieces are designed to be worn individually or can be worn layered together, ensuring each customer can embrace their own unique style when wearing them. The materials from her collection are sourced from all over the world and it is a high priority for her only to use natural stones and precious metals, ensuring the quality is of the highest standard. Janne also does bespoke pieces and loves to create unique customised pieces in collaboration with the customer. Seeing a piece come to life and then be loved by her customers is a full circle for her. We sit down with Janne to learn more about her inspirations. I started playing around with pearls and stones back when I lived in Shanghai in 2005, it was only meant for family, friends and myself. Back then I had no idea or plans for the future. Only when I arrived in Hong Kong in 2009 I decided to pursue my dream of turning my passion of being creative into more than just a hobby. My style is simple and minimalistic. I see my pieces to last for a long time and to be worn in many ways. 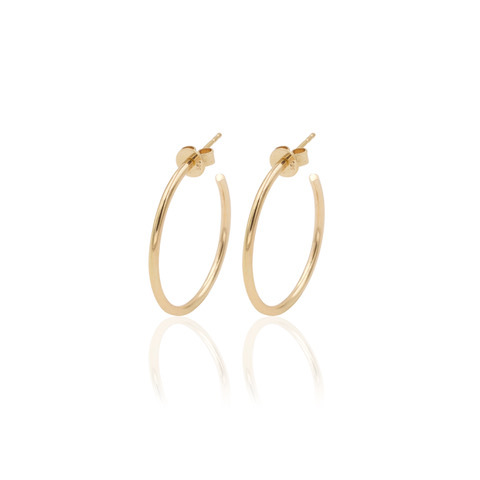 They can compliment an evening outfit or dress up a plain T-shirt.. I like that they can be used for any occasion. The person who wears my jewellery is the modern and classy woman who wants to make a statement but not overdo it. A girl who dresses up a T-shirt with a layer of simple necklaces, who stacks her bracelets to give it a fun play, but also uses the pieces to tone down an evening outfit. A person who wants to show that they don't put too much effort into it, but appreciate simplicity and quality. I get a lot of inspiration from social media, magazines and street life. I am inspired by colour combinations that essentially come from everywhere!.. like nature, food displayed in supermarkets, magazines, interior decor, window displays, anything that doesn't necessary have to do with jewellery design. I never sketch before creating my pieces.. all my pieces come to life from my mind.. and I just find my way. I like many Danish design brands in jewellery, clothes and furniture. The Danish simplicity works for me. My creations are made to suit me and my outfit, I am just lucky enough to have other people to like them as well! Never try to overdo a piece, too many colours, too many stones, to many details, it doesn't work for me, keep it simple, it lasts longer. 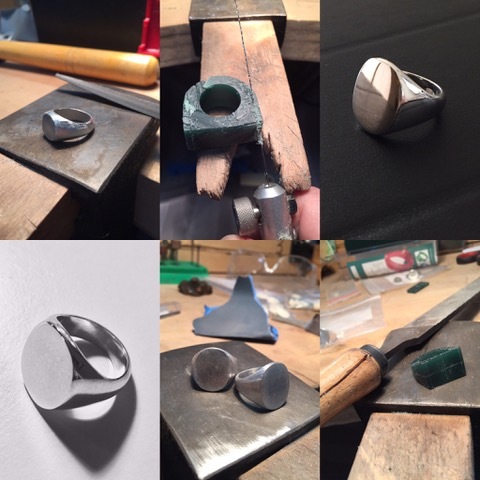 My signet rings, in all size and shapes, because they are unisex and can be personalised. Sports, I like to run and train to stay fit - and play with my dog!